In India everybody has a dream to do B.tech or M.tech or M.S in IIT’s or NIT’s or Top most universities, we work hard in +2 to crack JEE or AIEEE exam for B.tech admission in IIT’s or NIT’s, but its not possible to get admission to all students. so, one who didn’t get rank in JEE or AIEEE have decided to do at least M.Tech in those colleges,so we took admission in normal engineering colleges to get UG degree and we starts our preparation from the third year onwards for GATE which is the entrance exam for M.Tech admission in IIT’S, NIT’S, top universities. My GATE preparation was also started from 3rd year and I wrote this exam for 2 times and finally I got admission in NIT and I thanks a god to fulfil my dream. Here I want to share some objective books which useful for GATE exam. Gate ECE by r.k kanodia, which is covers entire syllabus,and cover more objective questions for practice..
Philips recruiting enginners for various posts in india, both freshers and experienced are eligible to apply. salary is in between 15,700 to 22,600 per month. Salary: 15,700 to 22,600 per months. You can get in touch with us for any further query before visiting our office. Weight : Corresponding to height and age as per medical standards. Medical Standards : (a) Eye Sight: Should be medically fit in all respects (Eye sight 6/6 and 6/9 of two eyes without wearing glasses. (b) Candidates must not have knock knee, flat foot, varicose vein or squint in eyes and should possess high colour vision. They must be in good mental and bodily health and free from any physical defect likely to interfere with the efficient performance of the duties. Application Fee : Sub Inspector : Rs.200/- in favour of Inspector General, Frontier HQ SSB, Ranikhet Branch Code-0704 by DD/Bank Cheque/IPO Asst. Candidates should send their Applications (duly filled in) complete in all respect along with Admit Card duly filled in, in the prescribed pro-forma . The application shall be typed on one side only in full size plain paper with passport size photographs affixed, application fee, attested copies of testimonials are sent on the following address. Asst. Sub Inspector Inspector General, Frontier HQ SSB, Guwahati, House No.345, Nikita Complex, G.S. Road, Khanapara, PO/PS : Khanapara, District : Kamrup, Guwahati (Assam), Pin. No : 781022. Today generation is running back on very high competitive jobs, so many peoples dont know where to start preparation for written exams. Here i am giving some best aptitude books for Placements,competitive exams like CAT,MAT,GRE,TOEFL etc and also for government,private sector written exams.All these books are used to prepare for any aptitude exam.For more competitive books click here to search. NCERT books form 7th class to 10th class which is useful to know basics of mathematics,you can download for free from their website. 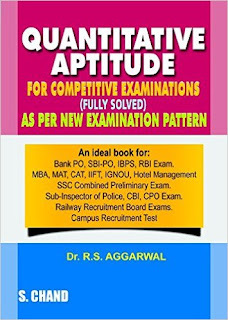 latest edition Quantitative aptitude by rs aggarwal pdf ebook, It covers all the topics for the competitive exams and also it useful for placements.You can buy these books online from trusted websites like flipkart with low cost. 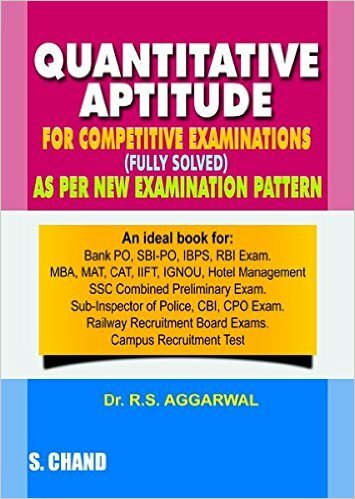 Quantitative aptitude by arun sharma 5th edition flipkart pdf,which contains hiver level aptitude questions which is useful for competitive exams like CAT,TOEFL,GMAT,GRE and for placements. logical reasoning by arun sharma ebook from flipkart,This book is used to learn high level reasoning used for all competitive exams..
How To Apply : Interested and eligible candidates can apply to the below link. Alternatively you can send your resume to employee.referral@nxp.com (only eligible candidates try this method, others do not spam). Tentative date of online test is 5th Jan 2017. 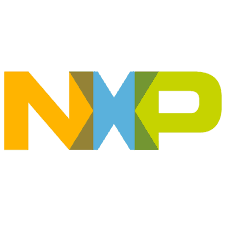 NXP Semiconductors N.V. provides High Performance Mixed Signal and Standard Product solutions that leverage its leading RF, Analog, Power Management, Interface, Security, Digital Processing and Manufacturing expertise. These innovations are used in a wide range of automotive, industrial, consumer, lighting, medical, computing and identification applications. A global semiconductor company with operations in more than 25 countries, NXP posted revenue of USD 4.2 billion in 2011. HAL (Hindustan Aeronautics Limited) is one of the Navratna PSU mainly concentrate on design, development, manufacture, repair, overhaul and upgrade of Aircraft, Helicopters, Aero-engines, Industrial & Marine Gas Turbines,Accessories, Avionics & Systems and structural components for Satellites & Launch Vehicles. 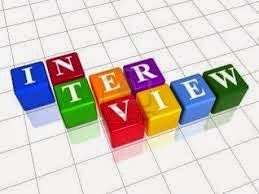 HAL Management trainee-MT is one of the recruitment process for different branches,they recruit candidates on every year,here I am going to give information for ECE about previous papers questions and best books to prepare for HAL exam.I already discuss about the syllabus for the exam in my previous posts. The exam consists of three sections 1. general awareness 2. English and reasoning and 3. Technical section you can download the PDF file which contains sample previous questions for free. These are the books which I know if you found any best book other than the above please leave a comment we will update your book.. So many peoples wants to do their internships or project work in reputed government electronics companies like ISRO,DRDO,BSNL.etc. In this article I am going to tell you the application process to do their internship or project work in ISRO centers. A Space application center,Ahmedabad which is under the the department of space,ISRO offers in plant training for project work or internship or thesis for both B.Tech and M.tech candidates. Qualification: final year students of B.Tech/M.Tech with minimum first class through out education(SSLC onwards),preference will be given to the toppers from the institute. Duration of the project: 4-12 months, certificate will be issued at the end of the training. Selection Procedure: Through screening of received applications from various institutions. Here we are giving some companies which offers summer and winter internships for ECE and EEE candidates. 8. Samsung India Electronics Pvt. Ltd.
To apply for internship for those companies you have to contact HR of the related company or check their related website for more updates.